Is your vehicle in need of maintenance or repairs? 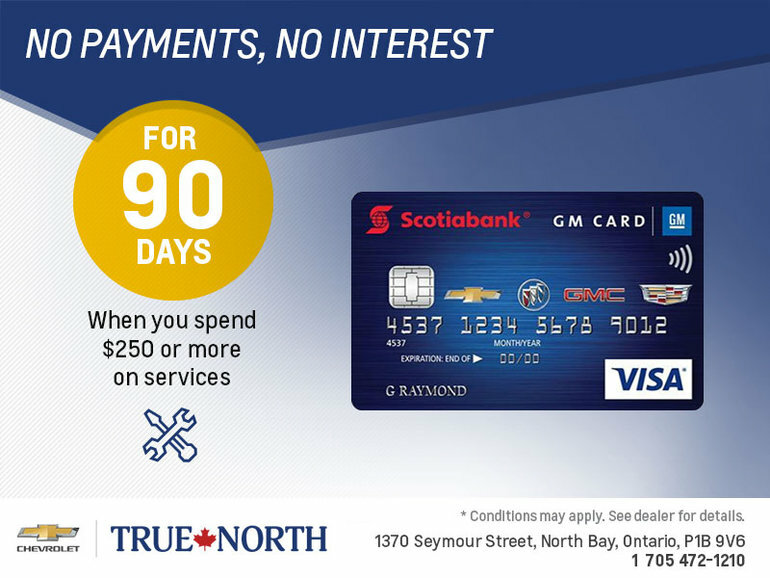 Have your vehicle repaired today and thanks to the Scotiabank GM card, pay in 90 days without interest when you spend $250 or more! Why wait? Thanks to the fabulous offer from Scotiabank and GM, your car will run like new today!